May 3rd marks the World Press Freedom Day, or simply World Press Day. This day is to raise awareness of the importance of the freedom of the press and remind governments across the world to respect the right to freedom of expression. Today I would like to commemorate the life of an African journalist hailing from Burkina Faso, Norbert Zongo, who just like the great Cameroonian journalist Pius Njawe, stood for justice and fought injustice. 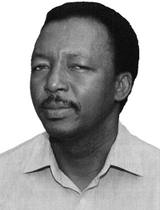 Norbert Zongo was the publisher and editor of Burkina Faso newspaper L’Independant. On 13 December 1998, Norbert Zongo was assassinated after his newspaper investigated the murder of a driver (David Ouédraogo) who had worked for the brother of the president Blaise Compaoré, François Compaoré. Zongo’s burned body was found along with the bodies of three other people: his brother Ernest Zongo, his chauffeur Ablasse Nikiema, and Blaise Ilboudo, in a vehicle near Sapouy, 100 km from the capital Ouagadougou. An investigation showed that Zongo was killed for political reasons. His murder rocked Burkina Faso, and manifestations arose within the country, and neighboring countries. The most violent manifestations took place in the city of Koudougou, Zongo’s birthplace, and government supporters organized a militia armed with clubs engaged to hunt protesters in many cities of the country. Bowing to popular discontent, President Blaise Compaoré, had to open a judicial investigation where his brother was charged for murder and harboring the body of the victim in connection with the death of David Ouédraogo who died of torture. The charges were later dropped by a military tribunal. In August 2000, five members of the presidential guard were charged for the murder of Ouédraogo, were convicted and sentenced to lengthy prison terms, but all were later freed. In seven years of trial, one suspect, a member of the presidential guard was charged, but the accusing witness later recanted. The Zongo trial ended in July of 2006 with a non-place which caused an international outcry. Norbert Zongo is also the writer of the book, The Parachute Drop (Le Parachutage), which was translated to English and published in 2004. Many of his articles can be found in the review Mobutuization of Burkina Faso. Today, Norbert Zongo is celebrated as a martyr, one who stood for truth, in a country where not many dared to talk. This is why he should be the man of the day, for a day like World Press Day: He dared to talk, he expressed the truth to enlighten others, and sought justice for another man. In 2003, a documentary was made to talk about his murder: Borry Bana, the fatal destiny of Norbert Zongo. In 2012, a memorial was erected at the Highway N6 (Ouagadougou – Léo) near Sapouy, exactly where Zongo was murdered. Please watch this video of Norbert Zongo talking to African youths. His message is that of maintaining intrinsic values of principle, of growth, of conscience.